Harmonic, maritime surroundings and charming history await in Skudeneshavn, the Norwegians' favourite summer town. 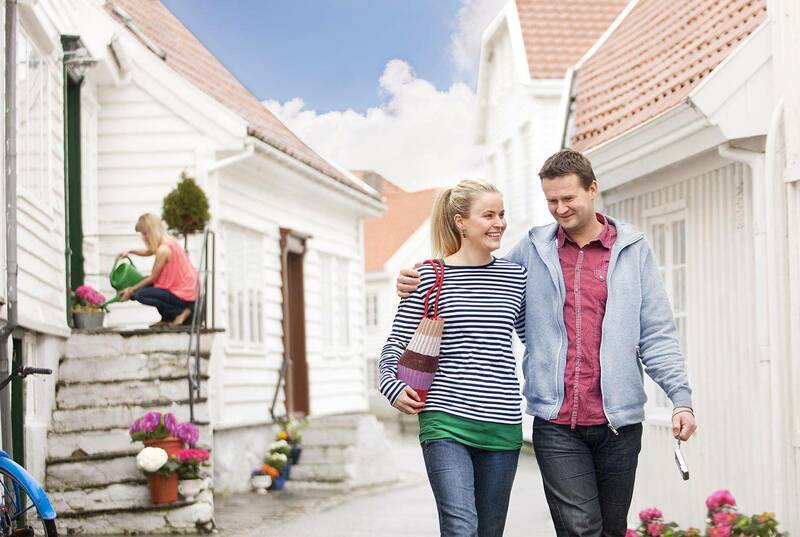 Forget about the hectic modern lifestyle and travel back in time to the southern tip of Karmøy, where you will find the charming little town of Skudeneshavn. It was in the 18th century that herring found its way to this little harbour town and it developed into a bustling little city. For nearly 70 years, the town was regularly visited by schools of herring, which attracted thousands of fishermen. After a short while a community emerged that is known today as “Norway’s summer town”.